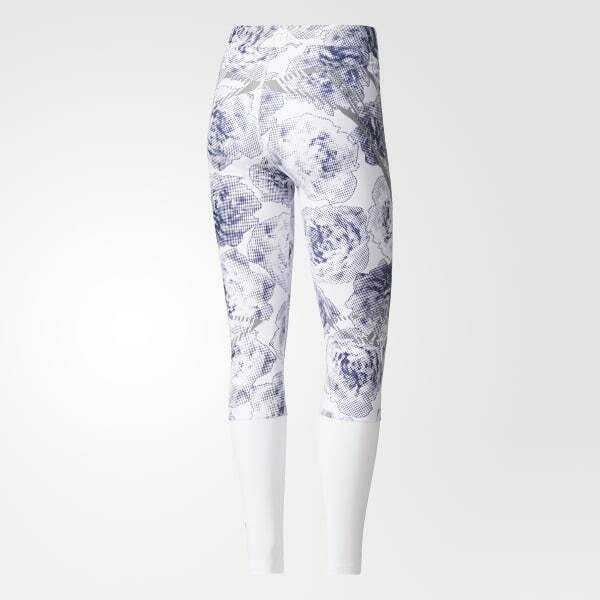 Supportive compression tights designed with Stella McCartney. A winning collaboration since 2005, adidas by Stella McCartney is known for highly functional sport pieces with sophisticated style. 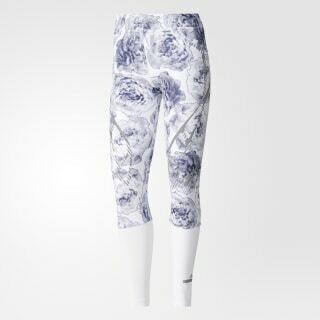 Designed for the runner who covers a lot of ground, the adidas by Stella McCartney Run Sprintweb Tights have a compressive design with a strategic print that supports muscles during endurance runs. Sheer mesh panels on the lower legs keep air flowing to your skin, and wicking material gives these tights a comfortable, dry feel.